When the holidays come, it is natural to splurge a bit on holiday decorations. However, when the season is over, where do you put all the extra stuff you bought? Lucky for you, here are 7 smart ways to store holiday décor! This Holiday Tote is 20 gallons of pure storage. The tote includes a lid and handles. 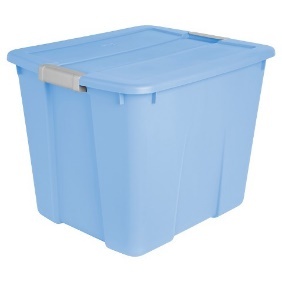 This is perfect for holding stockings, wreaths, or anything that fits in a 16.875H x 18.625W x 22.125L box. You can purchase one at Target online here for only $6.99. Holiday Storage Christmas Reels are the future. 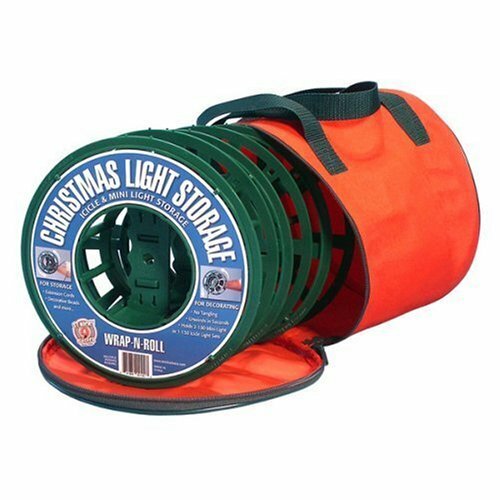 Reels are used for tangled-free Christmas lights. And it organizes the lights in one spot. Purchase in a bundle of three on Amazon here for $17.39. Wrap ornaments in tissue paper and place them into this convenient storage box. Each little compartment makes it easier to make sure you don’t lose an ornament again. 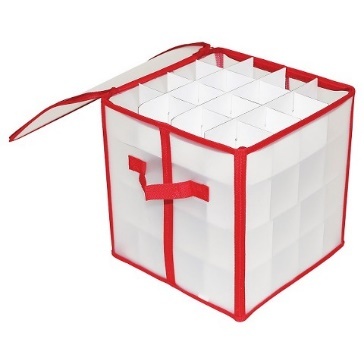 Purchase a 64 count holiday ornament storage at Target or here for only $13.99. Not enough room on the floor? 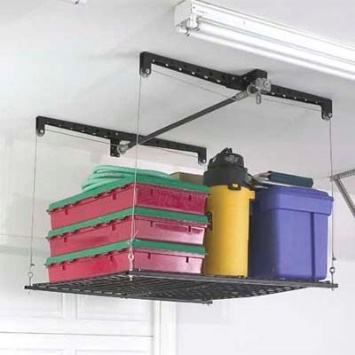 No worries because you can purchase an elevated storage system. This is a more costly way to keep storage, but it gets the job done and empties up space in the house. This can cost around $185 to get it installed by Prostor Heavy Lift. It can be cheaper if you devise a system yourself. This tarnish slips are perfect for protecting those holiday plates and utensils. 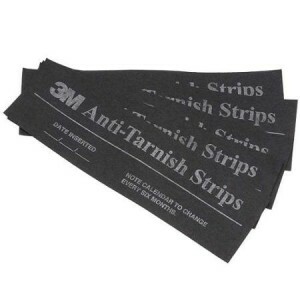 These strips can protect your cutlery for up to a year in a sealed environment. Purchase them at Wal-Mart here for $5.99. Seal those plates away in this Household Essentials Holiday Dinner Plate Storage. This nifty device easily stores your plates and comes with a handle. Purchase them at Target for $13.99. Put away holiday decorations in one of Santa’s bags. 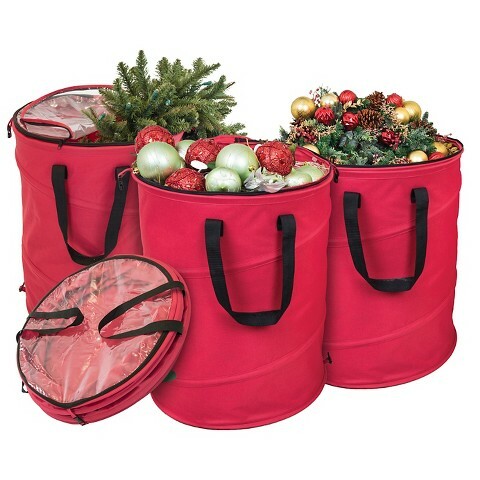 This durable bag is great for wreaths, garlands, and non-breakable decorations. The cap has a clear window, so you can see what is inside the bag. Purchase your own storage bag at Target for $19.99. With all of these tips and gear, you will be ready for the end of the holiday season!